Meet your AMI Trainer Keith Ball at the Plas y Brenin bar for 9am. Candidates often feel that they can learn this by taking their mates climbing. However, there is much more to it than that, and this is is one of the hardest parts of becoming a Mountaineering and Climbing Instructor. 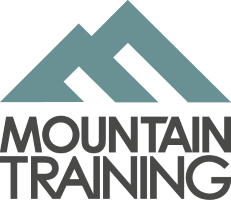 It is an area where many candidates are ill prepared and is the most common area of deferral on Mountaineering and Climbing Instructor Assessment. This workshop will look at the ways in which you can structure and plan a teaching progression for students of different abilities; from beginner to possible leader. It will also look at how to assess the clients wants and needs and to teach two climbers with different levels of ability and different aims at the same time on the same route. This is a key area where many trainees struggle on assessment. Finally, it will discuss teaching and coaching more experienced students; being a Mountaineering and Climbing Instructor is not just about teaching beginners. Trainees should bring: 50m single rope, climbing gear rack, personal climbing equipment, rock shoes.